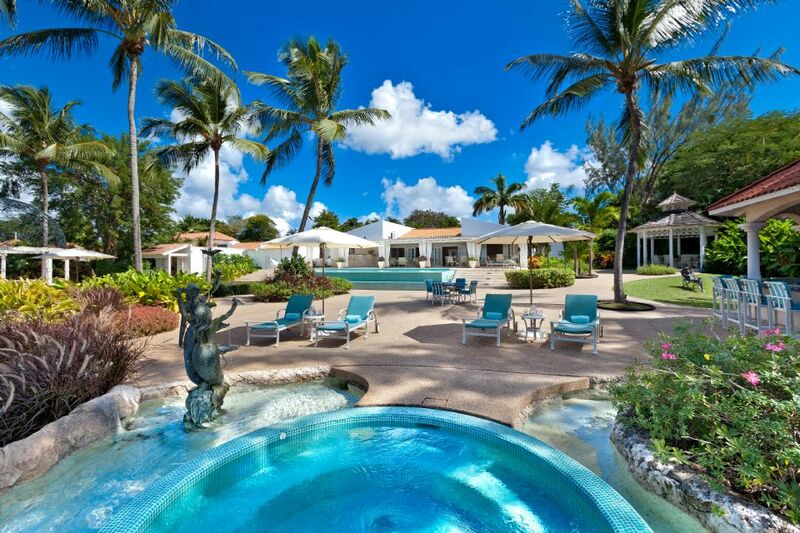 Located at the Polo Ridge in St James, Barbados, Villa Stanford House sits opposite the Barbados Polo Club and is a short 30-minute drive from the Grantley Adams International Airport. 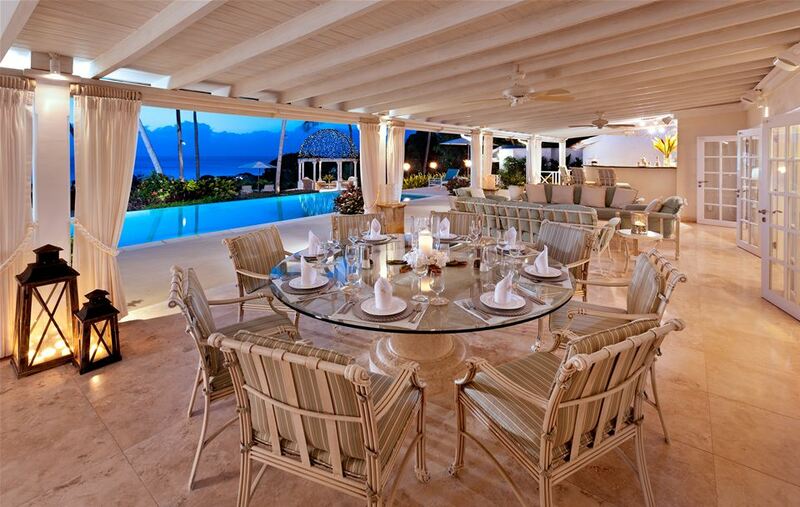 The property commands exceptional views over the west coast and the Caribbean Sea from its elevated position. 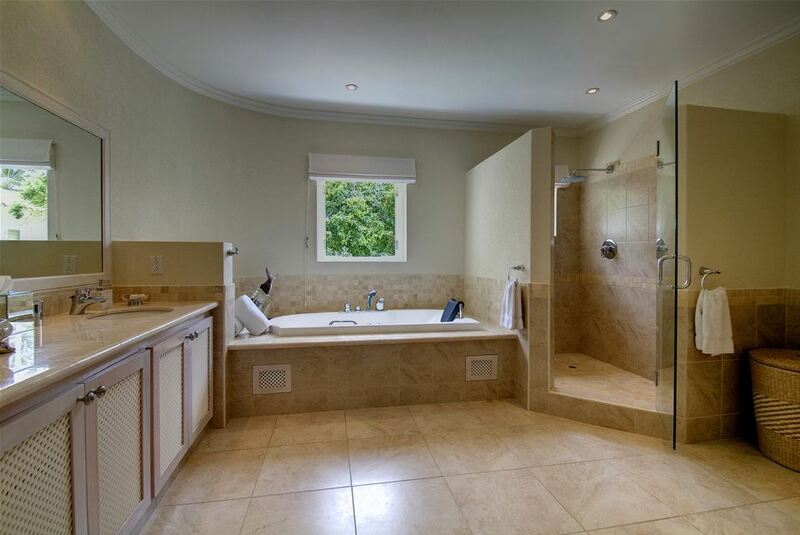 Constructed on one level, Stanford House is a luxurious property to accommodate up to 10 guests comfortably. The outdoor livinig and entertainment facilities are second to none and provide a relaxing and welcoming atmosphere to all guests who stay. The large terrace incorporates a fully equipped bar and a lounge seating area before leading off to the pool deck, boasting a beautiful infinity swimming pool with sun loungers dotted around the edge. The grand reception room is fully air conditioned and is accessed via the open walkway, front porch and the entrance foyer. The living areas are of an open plan design to provide a spacious and inviting place for socialising and relaxing. A spectacular 8-foot aquarium separates the lounge from the media room, complete with 60" plasma television with surround sound, satellite channels, DVD player and wifi internet. 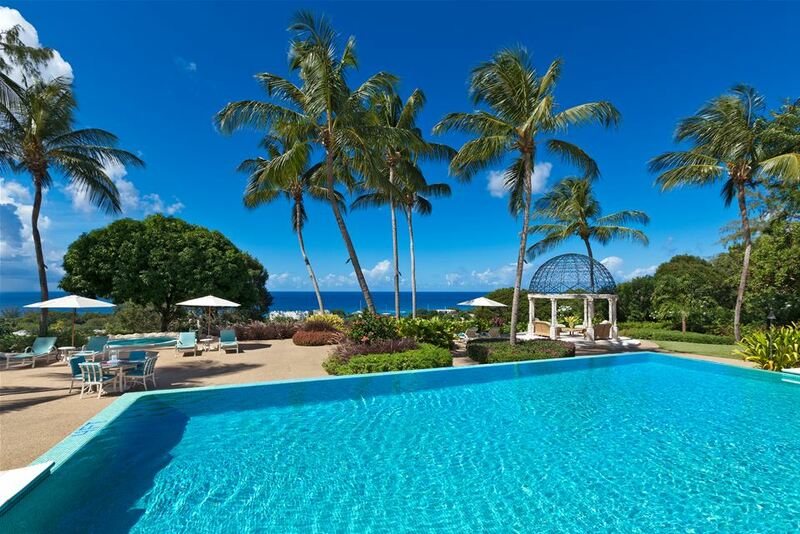 Access to the pool deck is gained via the lounge with delightful views of the sunsets to be had. 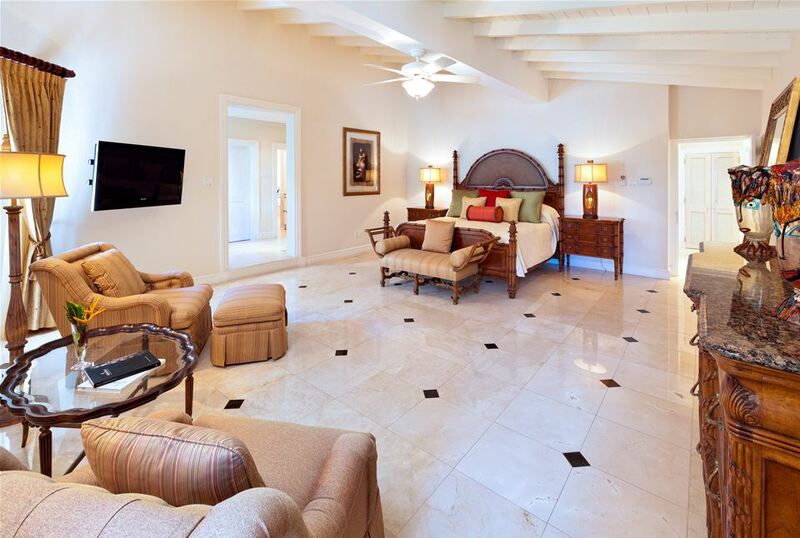 A stunning master bedroom includes a seating area with a 42" plasma television, dressing room and a complete en-suite bathroom with Jacuzzi tub and walk-in shower. A fantastic kitchen is modern and equipped with the latest appliances. Covered parking is available for 2 vehicles alongside a large parking area. 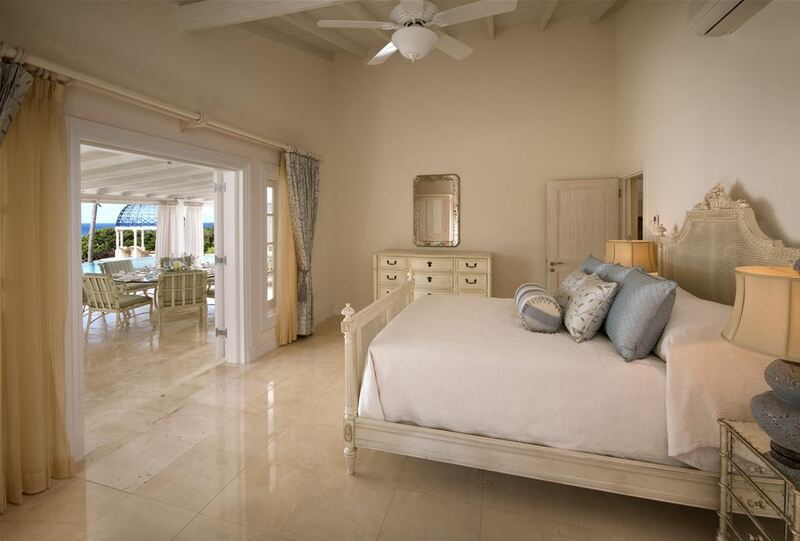 An additional 3 guest bedrooms are situated in the main house, all including en-suite bathrooms and generous closet space. In the garden, guests will find a self-contained cottage featuring a private terrace and views of the coastline. The outdoor space of Stanford House is truly sensational with tropical gardens extending over an acre, a Jacuzzi set and a dining gazebo. There is also a modern barbecue with a wet bar and a further seating area beneath a domed gazebo, decorated with fairy lights and specially imported from Italy. Stanford House makes for an incredible venue for a tropical wedding for up to 50 guests. 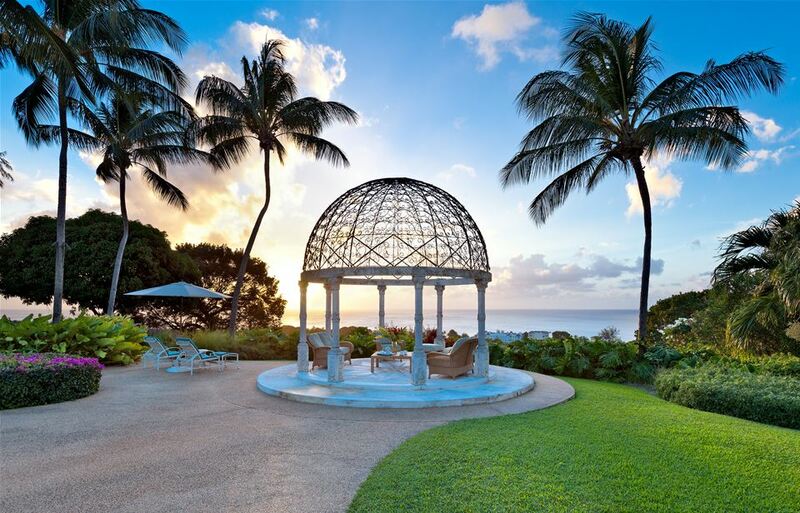 The fabulous domed gazebo sets the idyllic romantic atmosphere with the Caribbean Sea as the most entrancing backdrop. 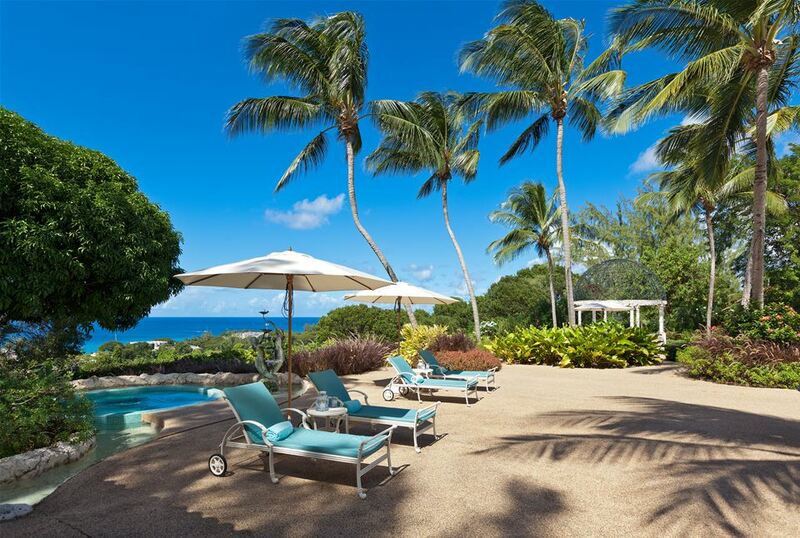 Guests of Stanford House have automatic membership to the beach club facilities at the Fairmont Royal Pavilion Hotel, at just a 10-minute drive from the villa.